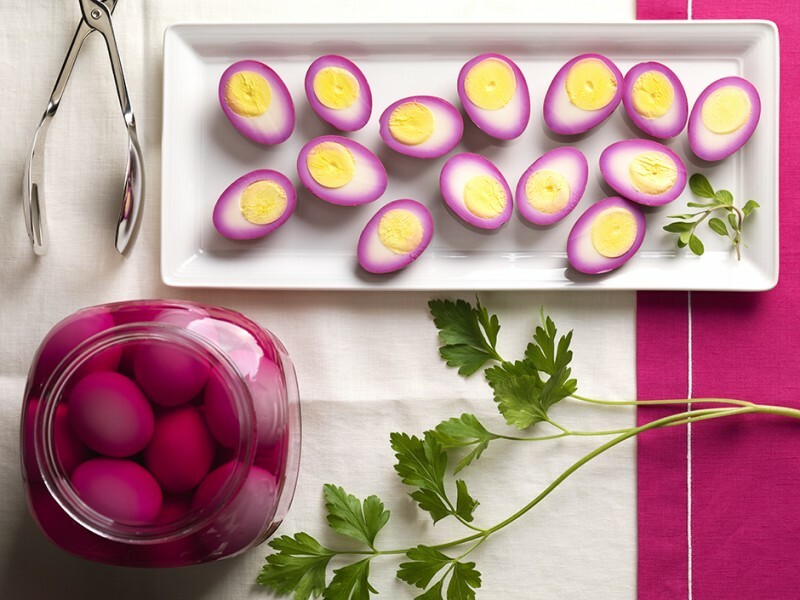 American Photographic Artists (APA), a non-profit association for professional photographers, recently sat down with AtEdge photographer Lisa Adams to discuss her renowned food photography. We have copied the interview below for your reading pleasure. You can see the original post here. A Boopie glass of plump, chocolate pudding waits to be eaten on a flowing brown ribbon. 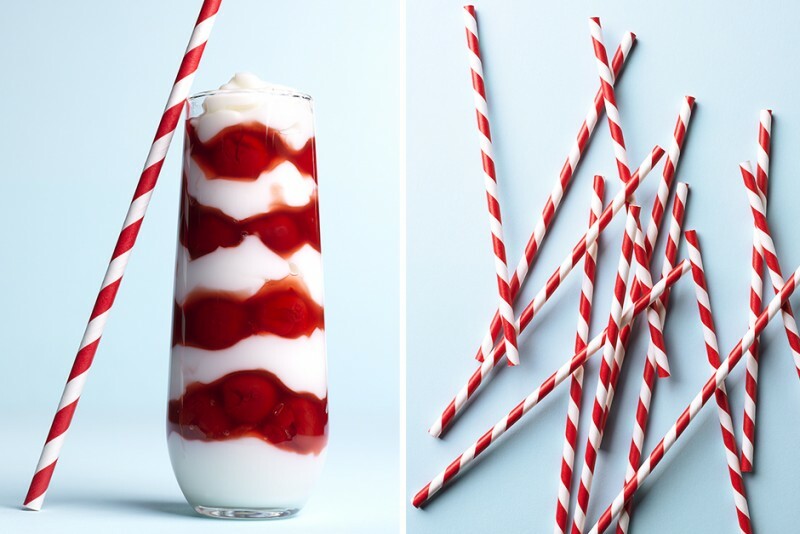 A candy cane is made out of a layered cherry parfait. A timeworn shaving kit becomes a story of little trinkets and treasures. Don’t see it yet? You will. Still life photographer Lisa Adams has a knack for transforming ordinary objects into ethereal pieces with lighting, mood and composition. When we see mundane objects, she sees a lyrical image, where each item becomes part of a bigger story that incites our emotions—emotions of a lucid childhood memory, distaste or a craving for a food, or colors that stir a particular fascination. How did you become a photographer? And how did you become interested in still life? In college, I started taking classes in design and photography which was a total deviation from my English literature and Physics direction. I initially saw the design and photography as electives that might help boost my GPA. I didn’t really think much about it until one of my professors pulled me aside to compliment a recent project. I thanked her and commented that, “it was easy.” That was when the light bulb went off… the realization that I might actually be good at this was the catalyst for what has now become a 28-year-long fascinating career. My first assisting job was with a studio that had a lifestyle and still shooter. I worked with the tyrannical still shooter (he liked to throw things and expletives) but occasionally I assisted the lifestyle shooter and quickly learned that I had incredible patience when dealing with inert objects but not so much when it came to people. I really love that I have such control with stills and food! They stay where I put them, don’t talk back and never say “no”. Of course food can die or melt, but I can forgive that! What was your childhood like? Where did you grow up? I grew up in a small town in the mountains of NC, near Asheville. Beautiful area! It was kind of like growing up in Mayberry, everyone knew everyone and I actually went to school with most of the same kids from 1st grade through high school. Looking back, I now realize and can appreciate that growing up in a small, intimate community with people that have now been lifelong friends helped to create a sense of security and self-confidence. I still “go home” and get together with friends that I grew up with. A road trip to the mountains usually turns into a text fest to see who’s going to be in town for the weekend, who’s house we are getting together at and of course a tentative menu! Tell us a story from when you were young. One year for Christmas I received a Viewmaster which came with several packets of reels to view. I was absolutely fascinated by the 3-D vibrant images. I’d sit in my room in front of the windows for hours flipping through the reels over and over again. My first introduction to Kodachrome… talk about eye candy! Exactly what do you want to say or portray through your photographs, and how do you actually get your photographs to do that? What’s your technique? I’m most happy with my work when I feel like I’ve created a “lyrical” image, one that expresses emotion and evokes emotion. It’s all about revealing the subject matter in a beautiful way, through lighting and composition and creating a mood that’s reflective of the subject itself. Hopefully the image is telling a short story and inciting the imagination of the viewer. I’m usually shooting bright, airy and graphic with a distinctive color palette or dark and moody with pops of color. I like mixing soft light with hard directional light. The hard light intensifies color and pulls out texture plus it adds crisp bright highlights and deep shadows that create depth and dimension. I shoot with SinarP2’s outfitted with Multi-shot capable Hasselblad CF-39 backs. If necessary, I’ll also shoot with a Hasselblad H3D-31. I’ve always shot large format… it’s definitely my preference. I love all of the control available with a 4×5. Am I starting to sound like a control freak? Clients love the live video available with the Phocus software, they can see everything as it’s happening, and it’s a great collaborative tool! I still use Speedotron lighting. Those packs are like tanks! My team! An A+ team of talented crew (food and prop stylist, prop builders, producers, digital techs, assistants, etc.) is crucial and everyone contributes to the success of the shoot. Over the years I’ve developed relationships with an amazing team of creatives I can call on, and feel that our combined talents and experience are evident in the final product. What is one thing you wish you had known back then that you know now? When to say no. Occasionally, a project is just not a good fit for a variety of reasons. It’s very difficult to turn down work but sometimes it’s the best option. You’re based in Charlotte. What is it like being a photographer there? Do your clients come to your studio or is most work done remotely? The Southeast has and continues to be a great market. Being based in Charlotte has worked well for me personally and clients appreciate the ease of travel to and from CLT and enjoy the city. I’m very fortunate to have had a small measure of success and am grateful to have clients that value my work and are willing to travel here. Since I’m a studio shooter, traveling here is a given and in most cases is a non-issue. However, since the economic downturn current budget constraints seem to be driving clients to really consider travel cost and location can definitely be a factor in deciding which photog is awarded the project. I’m always thankful when it’s about the work and being the best fit for the project and not about location. So yes, most clients do attend the shoots here at the studio, but I do have a couple of “remote only” clients. We prefer that the client/creative attend the shoot for obvious reasons, but at the end of the day, it’s the personal interaction and collaboration that keeps my job interesting and fresh. But if being on the shoot isn’t possible, technology makes it fairly easy to work virtually. What are the challenges you face being in a smaller market then, say, New York? In a smaller market, the biggest challenge is getting the work in front of buyers who value talent over location. Working in a smaller market can be advantageous and give us the ability to produce a shoot more cost effectively, plus the hassles associated with working in a large metro area like NY are minimal here. Overall, the challenges we face today as professional photographers are not geographically specific, but industry wide. We seem to be in a societal phase of “good enough,” which doesn’t bode well for professionals who have invested exorbitant amounts of time and money perfecting their craft. Since all things are cyclical, hopefully this trend of “good enough” will cycle back to the quest for “exceptional”! What is your inspiration for shooting photography? You are surrounded by amazing people and things—a beautiful city near the coast, family, pets. What makes you get up every day and say—this is where I’m meant to be? I find inspiration from everyday objects and foods that we encounter daily but never REALLY see. 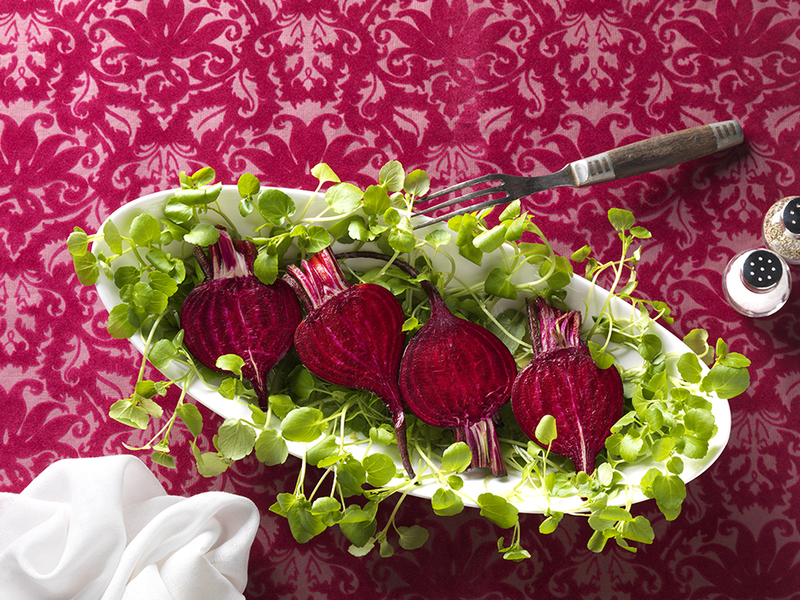 For example beets: Such an understated and dull root vegetable from the outside but when cut, they have ruby red intense color and luscious texture! I’m inspired to explore the overlooked attributes of the presumably mundane.